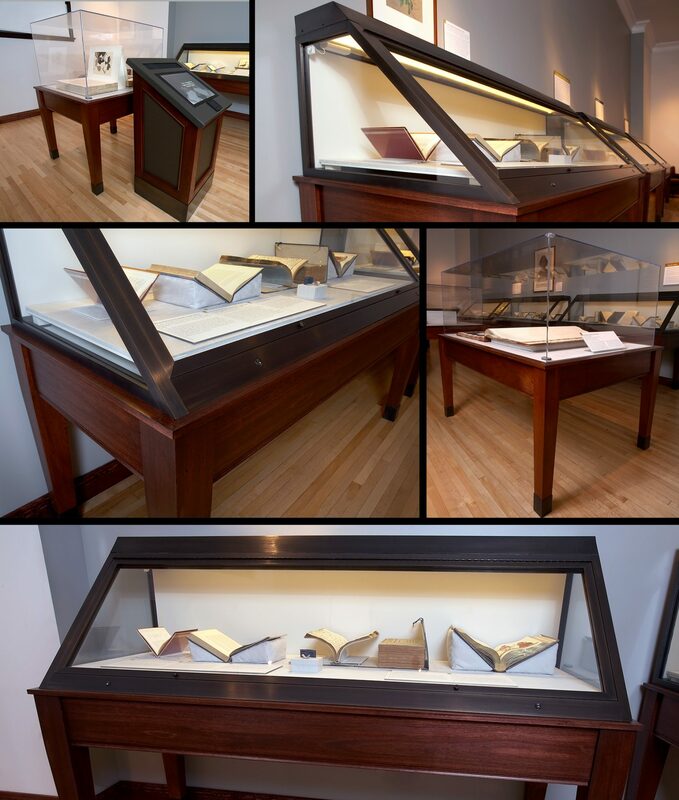 We fabricated and installed six conservation grade library artifact cases. The bronze frame and FSC wood cases have concealed internal LED lighting and can be sealed, locked and alarmed. These cases had to pass several stringent performance tests prior to installation.